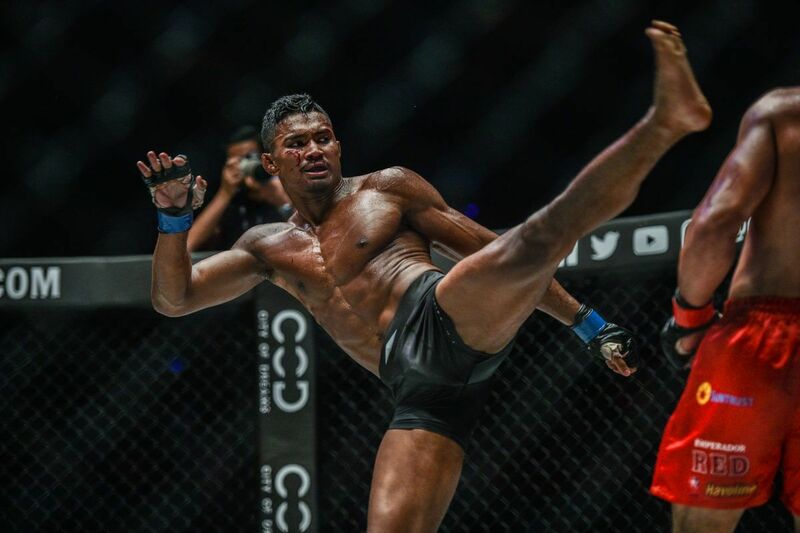 When ONE Championship heads to Manila, Philippines for the first time in 2019 on Friday, 25 January, fans can expect to see some knockouts. ONE: HERO’S ASCENT features some devastating strikers, who will go to battle in mixed martial arts, kickboxing, and Muay Thai contests. Here are the best knockouts from the evening’s big hitters. 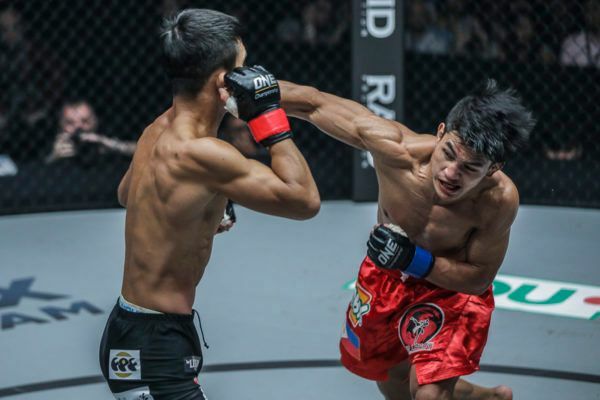 ONE Flyweight World Champion Geje “Gravity” Eustaquio has eight victories in The Home Of Martial Arts, and this emphatic KO over Saiful “The Vampire” Merican is his finest finish in that time. The two strikers – who come from wushu and Muay Thai backgrounds, respectively – started tentatively in the opening round of the contest at ONE: CLASH OF HEROES. The reason for this became evident as Merican stepped in to land his first powerful combination. Eustaquio timed Merican’s lunge in and threw the check hook with precision, dropping his foe face-first to the canvas to pick up the knockout after just 81 seconds. 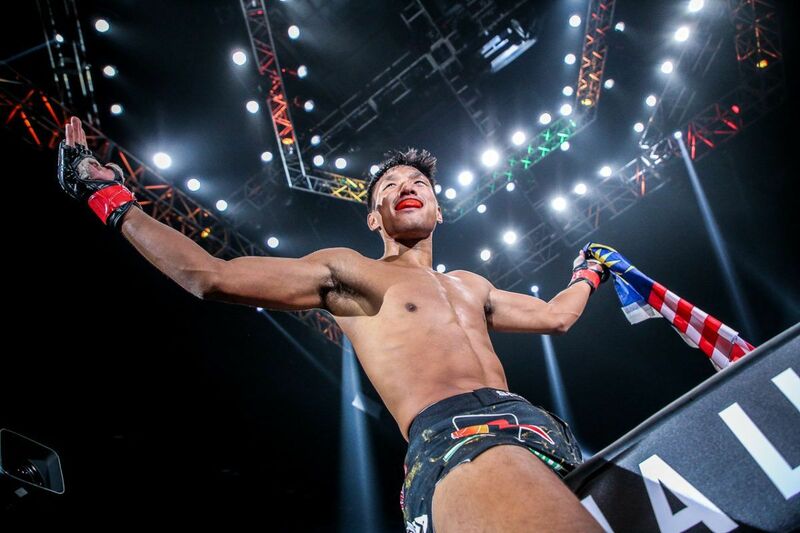 The Filipino will defend his ONE Flyweight World Title in a main-event rubber match against Adriano “Mikinho” Moraes in Manila – the first trilogy bout in the promotion’s history. 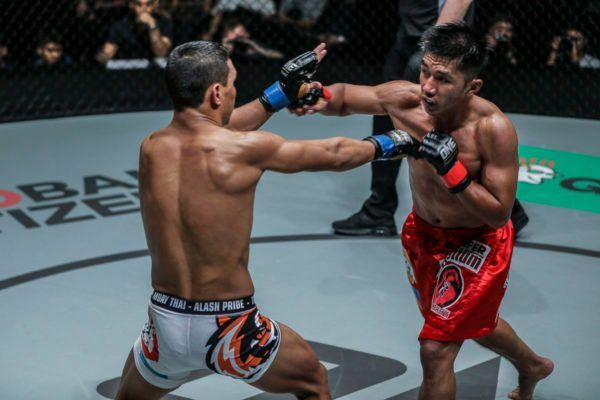 Honorio “The Rock” Banario and Jaroslav “Jarda” Jartim engaged in a ground battle for much of the second round at ONE: KINGS OF DESTINY, but when the former ONE Featherweight World Champion worked back to his feet, a finish came in the blink of an eye. The Team Lakay representative scrambled up and shoved Jartim away. As the Czech stepped back in for a loose right low kick, he did so with his hands low. Banario took full advantage of the opening. First, he stepped in with a right cross to the body, and then uncorked a massive left hook to the chin, which “Jarda” had no way of stopping with his hands down. The bout was over as soon as it connected. Jartim crashed to the canvas, and Yuji Shimada dived in to halt proceedings. Banario is back to face Lowen Tynanes in the first ONE Lightweight World Grand Prix quarter-final on 25 January. Fill in the blank: Danny Kingad's ONE debut was ____. 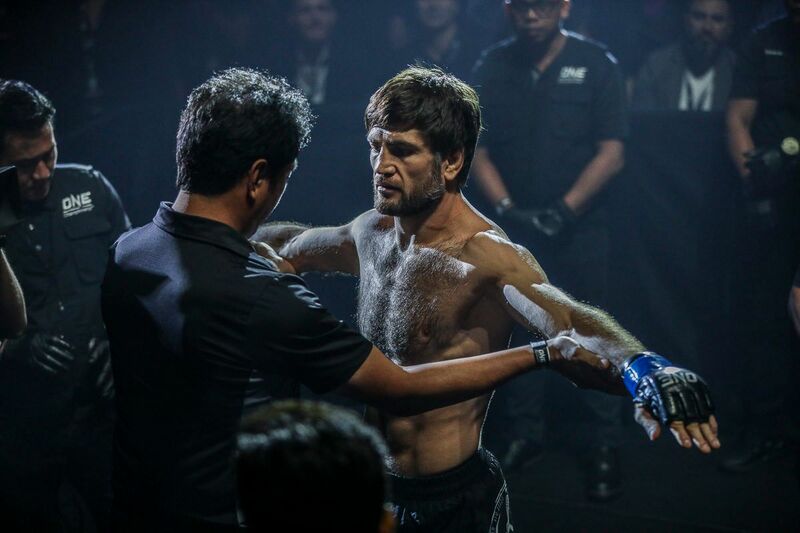 Danny “The King” Kingad opened up his slate in the world’s largest martial arts organization with a first-round TKO of Muhamad Haidar at ONE: GLOBAL RIVALS. From the opening bell, “The King’s” grappling game overwhelmed his Malaysian foe. He took him for a ride with a dynamic double-leg takedown and advanced his position to hunt for a bout-ending flurry. Kingad passed from side control to mount, and within 20 seconds of that transition, the match was over. 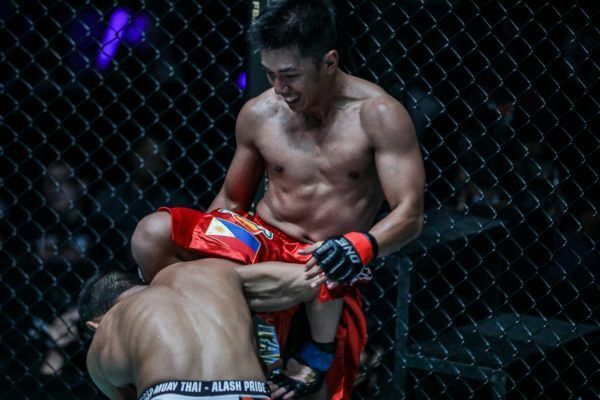 The Baguio City man opened up the taps with hard punches, and Haidar could not find a way out, which forced referee Olivier Coste to intervene. The 23-year-old wushu champion will be back in action at ONE: HERO’S ASCENT against Tatsumitsu Wada. Brown Pinas finishes Yohann Fairtex Drai with a BEAUTIFUL spinning back elbow at 0:52 of Round 2! 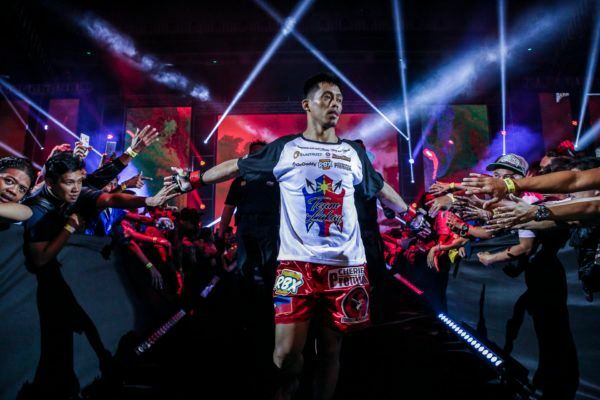 Brown Pinas and Yohann Fairtex Drai took to the cage in a ONE Super Series Muay Thai contest at ONE: WARRIOR’S DREAM, and it resulted in one of 2018’s top knockouts. Drai looked in control with his boxing, and he started to increase his output. He walked Pinas down to get in range to land his solid straight shots, but the Dutch athlete made the most of the aggression. The Frenchman over-committed to a jab, and Pinas masterfully dipped to his right and stepped off for a hard spinning back elbow. It landed on Drai’s forehead, which dropped him to the mat and put him down for the count. Pinas’s striking will be on display again at the Mall Of Asia Arena against Bangpleenoi Petchyindee Academy. A spinning back elbow KO gives Yukinori Ogasawara the victory over Rui Botelho at 2:54 of the second round! Rui Botelho was in the ascendency in his contest against Yukinori Ogasawara at ONE: PINNACLE OF POWER as he worked well to close the distance and land hard shots on the inside of his taller foe. However, his Japanese opponent maintained his composure under pressure and measured his opponent’s direct attack to land a bout-ending elbow. Botelho’s confidence got the better of him, and as he waded in with big hooks and little regard for his own safety, Ogasawara whipped his upper body around with tremendous power and landed his back elbow. All Botelho could do when he hit the canvas was look up at the lights and wonder how things had changed so quickly. Ogasawara will hope for a repeat result against Elias Mahmoudi in Manila. Malaysian Muay Thai superstar Mohammed Bin Mahmoud brings the house down with a sensational knockout of Stergos Mikkios at 2:20 of Round 1! 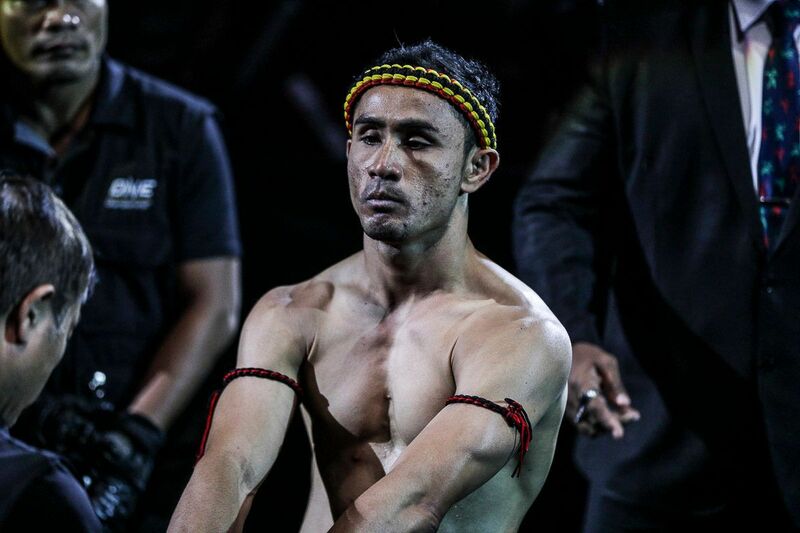 Malaysian Muay Thai superstar Mohammed Bin Mahmoud brings the house down with a sensational knockout of Stergos Mikkios at 2:20 of Round 1!Watch the full event LIVE & FREE on the ONE Super App http://bit.ly/ONESuperApp | TV: Check local listings for global broadcast. 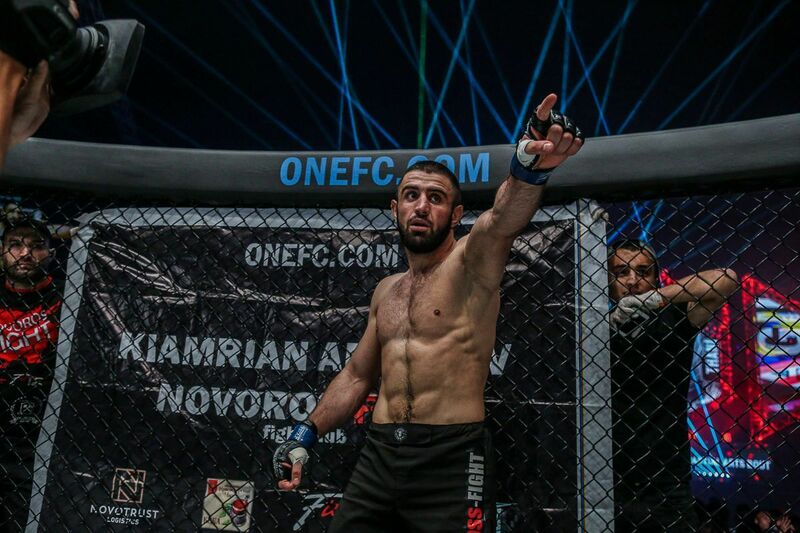 Mohammed “Jordan Boy” Bin Mahmoud took to the ONE cage for the first time at ONE: DESTINY OF CHAMPIONS, where he faced off against Stergos “Greek Dynamite” Mikkios. Mikkios’ unrelenting forward pressure makes his bouts exciting, but it landed him in trouble on this occasion. He jumped in for a Superman punch, but Mohammed returned fire with a hard right elbow for his first knockdown of the night. The Greek athlete got back up to his feet, but his Malaysian foe sensed the end. “Jordan Boy” kept up the pressure and launched a straight right at Mikkios, before he landed a left body kick, and then another hard right to seal the deal. Mikkios could not answer the count, and Mohammed picked up a glorious debut victory. “Jordan Boy” hopes to pick up another stellar victory at ONE: HERO’S ASCENT. He meets Hiroaki Suzuki.